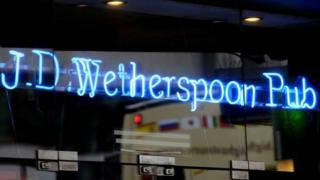 Popular pub chain JD Wetherspoon has announced its head office and 900 pubs are quitting Twitter, Facebook and Instagram, with immediate effect. The home of bargain pitchers and Curry Club Thursdays linked the move to bad publicity surrounding social media including the "trolling" of MPs and said it would be using its website and printed magazine to release news instead. Contrary to the rumours, Wetherspoon later clarified their jacket potatoes are "always baked - never fried". There is an entire Twitter account dedicated to the colourful carpets of Wetherspoons across the country. You're welcome.